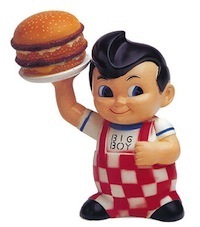 Is Social Media a Big Boy’s Game? In my previous job I worked with large brands to develop social media campaigns on Facebook and MySpace. The majority of brands that can afford to hire a company to create Facebook applications can also afford the headcount necessary to support a ‘social media strategy’. These companies were able to share their beautifully formatted social media guidelines with us and had employees, and often agencies dedicated to the cause. Should smaller companies bow out of the game because they can’t afford the staff for going all-in with social media? Absolutely not. Many of our customers are single hotel properties that have gone lean and mean to stay alive in this economy. Rather than ignoring social media because of the time and effort it requires, they have adapted the rules, embraced the medium and are reaping the rewards. And really, at its core, social media is just about listening and responding. This means that your reviews can either be driving sales… or driving people to another hotel. At least one person needs to dedicate some time to making sure that he is on the pulse of what people are saying. While I am, of course biased, I truly believe that using a social media monitoring solution, like Revinate, pays for itself when you look at the time a it takes to track down and compile all the reviews from all the review sites. Revinate also tracks your competitors and lets you search reviews by keywords, which gives you actionable data that you can use to make changes. For example, if half of your two star reviews mention the lack of coffee makers in the room, it might be time to provide coffee makers. If half of your competitor’s five star reviews tout the happy hour music, you might look at how your bar can start generating its own buzz. Once you start listening to your customers, it will be hard not to engage and let your customers know that you are interested in what they have to say, whether on Facebook, Twitter, OTAs or blogs. Ironically, small companies often have an easier time speaking with customers because company culture, tone and policies are often better understood by the employees of smaller companies. You don’t need a whole guidelines document to begin engaging. Simply assign the person you think best represents the brand and is customer-savvy and have them become the public voice of your company.